Ever Wondered How To Actually Record DI Tracks? >> Ever Wondered How To Actually Record DI Tracks? If you record a guitar or bass, I recommend you record a DI track AND a microphone track. I’ve explained the reason for this in one of my Instagram-TV videos (watch the video here). And in this post, you will learn how to actually record Di tracks properly! Before we get into the details of how to properly record DI tracks, please let me say that this article is assuming that you know how to record at least two signals simultaneously with an interface, computer and DAW (digital audio workstation). This will be necessary for two of the three methods I’m about to show you here. If not, please check this article on how to get started! It is a recording of what comes right out of your guitar: The clean, unprocessed instrument-signal that you send into your pedals, amp, etc. “DI” stands for “direct injection”, so when you record a DI track, instruments like guitars and bass are plugged directly into devices that basically convert the signal into something that can be processed and treated like a microphone signal or line-signal. To make that work, those devices have to match the impedance and level, which is different between instrument-, microphone- and line-signals. Mic Preamps (aka the XLR inputs of your interface) “expect” lower impedance microphone signals and plugging in a higher impedance instrument signal will cause a change in tone and level because of the impedance mismatch. Same with “line-inputs”. Those are designed to take pre-amplified signals like the outputs of mic preamps, outboard gear, Media-Players, etc. They will have a jack input most of the time and you will be tempted to plug your guitar into it, but this will also not give you clean, transparent results due to the impedance and level mismatch. The solution are DI-boxes, or “high-Z” inputs on preamps and interfaces. A DI-box technically converts the instrument-signal into a microphone-signal, so that you can plug it into the XLR inputs of your console, interface or external mic preamp. The “high-Z” (high impedance) input that many interfaces and external preamps have is a dedicated preamp for instrument-signals that technically converts the instrument-signal into a line-signal, just like a mic preamp does with a mic-signal, so that you can send it to outboard processors or directly to your analog/digital converters and record it. Please note: On some amps you’ll find a “DI Out”, this is NOT what I’m talking about here! This signal is also made to be plugged directly into your console or interface, but it’s not the clean, unprocessed signal straight out of your instrument. It’s an output of your amp that you can use instead or in addition to a microphone in front of the cab. It’s processed and colored by the amp’s tone. There are active and passive ones. Especially for passive pickups I recommend an active one like the very affordable but awesome “LD Systems LDI 02“, the popular “Radial Engineering Pro 48“, or the “Countryman Type 85”. There are dozens of different models out there, but with those three I had great experiences, myself. For high-output active pickups, a high quality passive DI box might be the better choice, because it can handle the high output without clipping and it eliminates one gain stage in the signal path, which reduces noise. And if the level gets very hot, the transformer in it usually saturates in a good sounding way and doesn't add unwanted distortion. For passive pickups you can also find great ones from Radial Engineering, for example. I use and love the Radial "Pro DI". You plug your guitar into the instrument input of the DI-box and go from the balanced XLR-output directly into your microphone-preamp. From the second, unbalanced output of the DI-box, you go into your amp and capture it with a microphone, just as you usually would. You plug the microphone into a second mic preamp and there you go: You can record a DI-Track and an amp track simultaneously! If your preamps (external or the integrated ones in your interface) have a “high-Z”- or “instrument”-input, you can plug a guitar or bass directly into that without the need for a DI box. And in some cases, especially if you have a great sounding high-end preamp it might sound better than a DI-box. And sometimes it won't. Doing a shootout is always worth it, as the difference can be huge! I usually won't recommend to use the high-Z inputs on your audio interface's built-in preamps. A DI box almost always sounds better to me and those inputs often can't handle high output instrument signals. Only on more expensive, external preamps I've used instrument inputs that actually worked and sounded great. In that case, you need to split the instrument signal up, so that you can go into your amp and your preamp simultaneously. I can’t recommend my trusty “Lehle P-Split II” enough for that job! It’s just awesome! It basically splits the guitar signal up and sends it to two perfectly separated outputs without compromising level, tone or clarity. From there you can go to two amps at the same time, or as described in this article, to both a high-Z input and an amp. And there you go again: You can record a DI-Track and an amp track simultaneously! You can, of course, also just plug your instrument right into the high-Z input (or through a DI-box into a mic preamp, which is usually better and therefore recommended) without going to a real amp. In this case, you may want to use an amp sim, which is a digital guitar- or bass-amp that lives as a plugin inside your DAW (digital audio workstation). If you do that and want to send your tracks off to a mixing engineer, please make sure you actually record the dry signal only (when you bypass the plugin on playback, you should only hear a clean instrument-signal). The amp sim is mainly for your monitoring. But when you export the files to send them off, make sure you export one with and one without your amp sim on it, so that the mixer can hear the tone you were hearing during tracking and gets an idea of the tone you were going for. And if your tone is really awesome, it might end up being used in the mix just as if you would have recorded a “real” amp. Please leave enough headroom, so you won’t clip your signal. Make sure that the red LEDs on your inputs stay off and that you never go above “0” in your DAW. This is crucial! A distorted, clipped signal can not be “undistorted” and the dynamics are gone forever if your signal is too hot. 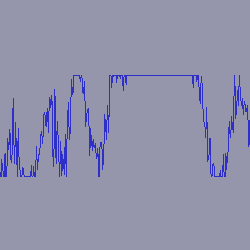 Zoom in on your waveform and check if the peaks are chopped off (flat). If that's the case, although you're not clipping your digital input, it might be the DI box or preamp that's clipping. Try a passive DI box and see if that works better. Also, as general guitar/bass tracking advice: Please make sure to always use brand new strings and setup your instrument perfectly before tracking anything. Intonation, clarity and attack are super important if you want to have amazing sounding guitar tracks in your final mix. With old strings and a poorly setup instrument this is just impossible to achieve. Always compare your tone to the tone you had when you started the session. You'll find that you have to change the strings multiple times during recording a record to get a consistent, great tone on every song. Pick choice is also a big one! Try different picks, even if you're used to using a specific one. Shoot them out for every part and you'll find that certain picks sound better for certain parts. I rarely use the same pick for all the parts of a song. And finally: Practice and check your technique. Especially the right hand is where the actual tone comes from. It's SO important, I can't stress it enough. 90% of all tracks people send me have a "right hand problem" or could at least be much better if the player improved his/her picking technique. The difference in tone between hitting hard and soft is huge, for example! And so is the difference between using up- and downstrokes. Also, pick angle and picking position on the strings (closer to the bridge or neck) make a big difference. Optimizing this stuff can completely transform the way your recordings sound. And that's also the reason why it's so important to have a decent monitoring sound. If the tone of your amp or amp sim is a muddy mess, it will be hard to hear and judge the nuances in your playing. But they will be revealed later on, when everything gets reamped. So, using a high quality amp sim plugin is highly recommended if you don't know how to properly mic an actual amp and cab! This is what a clipped waveform looks like. The top is chopped off (flat). So, I hope this was helpful and you’re no longer overwhelmed by the thought of providing DI-tracks and amp signals to your mix engineer. 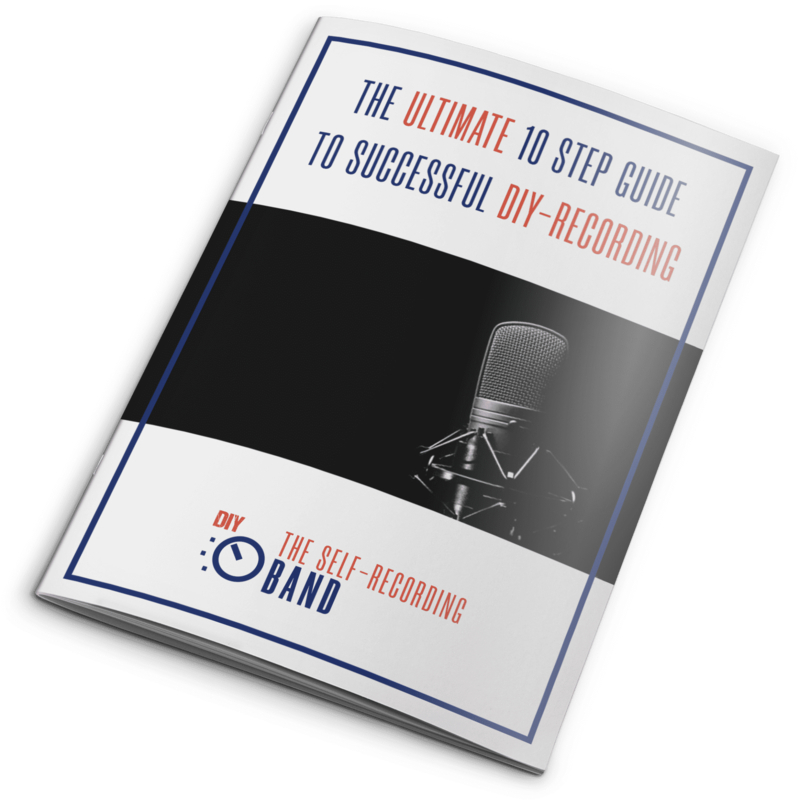 If you want a step-by-step system to better recordings, go here and get The Ultimate 10 Step Guide To Successful DIY Recording. This no-BS guide will walk you through the whole process from songwriting to finished, mix-ready recording. Follow along, focus on what really matters and get started now!